Constructed in highly resistant, reliable materials, their structure is finished in scratch-resistant paint for extremely easy cleaning. All models are equipped with a stainless steel protection grid and count with all electric safety elements. All parts in contact with food are made entirely of stainless steel: bowl, spiral and rod. 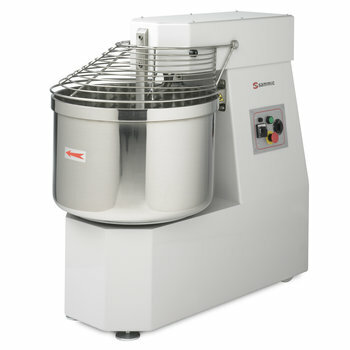 With bowl capacities ranging from 10 to 75 lt., Sammic range of dough mixers include one or two (2V) speed appliances and models with fixed bowl and head (SM) as well as models with removable bowl and liftable head (SME). All models starting from 20 lt. units come complete with built-in timer. 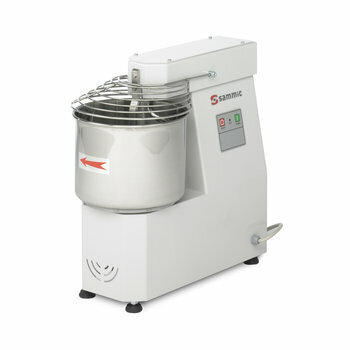 As an option, it is possible to attach a wheel to move the dough mixer in the working area (consult spare parts price list). 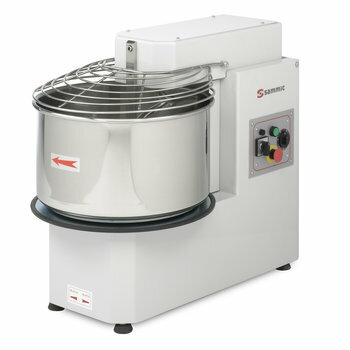 Capacity per operation 8Kg. 18Kg. 25Kg. 38Kg. 44Kg. 60Kg.